“Cooperation is the best way to good result. 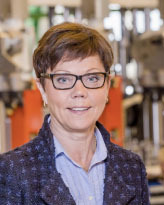 It was obvious once again when Good Decision together with Emhart Glass implemented the knowledge game about Arbetsmiljöverket´s new work environment regulations,” says Elisabeth Nordberg, Managing & Personnel Director at Emhart Glass. – “Funny, interesting and educational” was the feedback of Emhart Glass executives after the game. Before the game, it seemed different… The title: ‘New Rules for Organizational and Social Work Environment’ did not exactly bring cheerfulness to our technical managers. They imagined that someone would give a formal presentation, but that is not how Good Decision works. The game format was really fun and appealing to everyone. – The combination of knowledge questions and real life situations revealed rewarding discussions and encouraged cooperation. In some parts in the game we had to agree and that naturally lead to participation. Everyone was encouraged to present their individual answers and participate in the group discussions. This meant that we learned facts about the new guidelines, and we also learned a lot about each other and our organization. – Now Emhart Glass continues to make an action plan for each department, to see what can be further improved in the work environment. The training day was highly appreciated and gave us a good boost in the right direction. I’m impressed with how Good Decision can make a game about such a heavy subject and attract the desire to learn and discuss,” Says Anita Thorén, HR Manager at Permascand. – The game contains knowledge questions, everyday situations for the participants to reflect upon and provided solutions to work environment-related issues that many executives are familiar with. – For us Good Decision´s leadership methods and process was the solution to our needs. 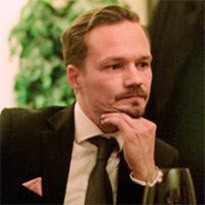 Jens Sångberg from Good Decision has great competence in the field and has an ability to engage the group to develop new ideas. – The participants consistently submitted good reviews after the training. I want to highlight the game format as an ingenious educational tool. Over the years I have participated in many courses in different organizations and I can say that this is groundbreaking. “When Permobil wanted to educate its managers regarding the new rules for organizational and social work environment, it was done together with two other industry companies. That way, we could benefit from each other’s experiences” says Isabella Rönnqvist, HR Business Partner at Permobil. – Permobil, Emhart Glass and Permascand jointly conducted a knowledge game led by Jens Sångberg from Good Decision. The desire was to get the employees involved instead of passively present them with facts from a lecturer. – The game format made it possible for everyone to take part and there were many suggestions from the participants. It was very inspiring and the game format feels very educational, says Isabella. I am convinced that learning is more effective when everyone actively participates, not least when the format encourages every player to come up with specific solutions for their workplace. The situations in the game allow the participants to train before they face any similar issues in their daily lives. I think that’s useful. – It is a positive experience to learn together with other companies. One company may have gone further in a particular area, another company in another area. It is very rewarding to exchange experiences in this way. “Since the game is so concrete, with rules, a beginning and an end, everything ties up in a good way,” says Åsa Hansson. She values being able to adapt the game to suit her own company and its current needs. “One of our value words is ‘initiative’ and therefore our version of the game rewarded co-workers who took initiative. We were able to work Norrporten’s DNA and soul into the game”. 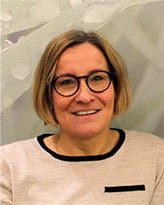 It is important that basic values and a code of conduct are linked to everyday work at Norrporten, regardless of one’s position in the organisation. The game has been used as a way to make that link, by creating problems which arise in the normal course of a day and enabling those involved to think about how these problems can best be solved. “Something happens in the room when we use the Good Decision game. We quickly get a discussion off the ground throughout the whole organisation and the work feels exciting”. Tuomo Tiilikainen came in contact with the Good Decision game while he was working for Loomis in Finland. He was responsible for implementing the work on basic values, which Loomis carried out internationally together with Good Decision. Today he works at the consultancy company, Talent Vectia, in Espoo, Finland. For the last two years, Talent Vectia has offered the Good Decision game to its customers. “It’s a success story! Our customers are satisfied and show really good results,” says Tuomo Tiilikainen. He sees the game as a tool for creating dialogue between co-workers and departments on virtually anything and everything within an organisation. “In order to avoid conflict you need to have a dialogue that works and the best way to set up a dialogue is to base it on real examples, like in the Good Decision game”. He thinks that because the game is also based on co-operation, the process of change is speeded up. “Everyone works together and co-workers adopt the right ‘mindset’ to be able to achieve the company’s goals”. With more than 100 new employees in a year, the Swedish Energy Agency needed an effective way to reach out with its work on values in the organisation. The choice fell on the Good Decision Game from Good Decision. “The game was very well received and the outcome was far beyond my expectations,” says Anders Muld, who at the time was director-general of the Swedish Energy Agency. But initially he was dubious about the method. “I thought it would require a lot of time and effort on the part of the management team, but that was not the case at all. The game turned out to be a neat and fun way of getting everyone in the organisation involved in our policy documents,” says Muld. 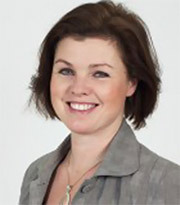 Karin Lindblom, Internal Communicator at the Swedish Energy Agency, had heard mention of the Good Decision Game at a seminar. She was struck by the opportunities the game offered to work on specific issues relating to the agency’s values and culture. “What happens, for example, if financial considerations clash with quality? What should we think then? We could work on such issues to make our policy documents specific,” says Lindblom. The game challenged the employees with situations that examined the agency’s rules with the aim of creating understanding and consensus on the policy documents. “In an uncertain organisation it is easy to become anxious, everything is agreed in several stages, making work very inefficient. We wanted to get away from that, and the game offered an enjoyable, creative and appealing way of discussing,” says Lindblom. The Swedish Energy Agency used the game at its annual “Energy Agency Day”. “There are always some who are dissatisfied with the activities at a staff day, but this game actually struck a chord with everyone. It’s a really fun way to assimilate rules,” says Ulrika Kärrvall, HR Specialist at the Swedish Energy Agency. 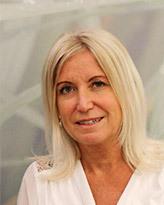 “The game form in itself created commitment and a healthy competitive focus among the staff,” says Karin Lindblom. “And everything is documented well with this method, so we can easily go back to the material to carry on working,” she says. A turbulent time with years of losses and reorganisation resulted in Övik Energi needing to find a way to unite the company. “It was a tough period for us. We realised that we needed to do something about our values and how we work with each other within the organisation,” says Kristina Säfsten, Managing Director of Övik Energi. Kristina was recommended Good Decision by a friend at another company. Since then, Övik Energi has worked with Stefan Zell of Good Decision on a number of occasions on matters of team-building and leadership. “Stefan is appreciated at every stage, both by co-workers and managers. He makes demands and gets us working in the right direction”. At the moment, an internal working group is responsible for the day-to-day development of the work on basic values. “You can never stop doing things like this but neither can you have a project that goes on for ever. That’s why we are continuing the work on our own, in between joint efforts with Good Decision”. She underlines that there are other advantages with the work. “It’s important, of course, that we end up making decisions on important things to do with company values but the process itself gives us a lot, too. We have a chance to meet in another context and better understand our colleagues and what we expect of each other”. A more efficient, simpler and safer working day – that was the goal when Övik Energi started working together with Good Decision. “We developed a set of values, first in our separate departments, then together as a company and finally in mixed groups,” says Katrin Sundström, HR manager at Övik Energi. This way of working had a knock-on effect. “Lots of people thought it was interesting and stimulating to discuss and compare experiences with colleagues they don’t meet on a day-to-day basis. It resulted in a shared view of things throughout the whole company”. Now the challenge is to keep the work on basic values relevant and alive. “The course created the right conditions to be able to continue our work on basic values. Nowadays we bring such issues up from time to time at our regular meetings”.